Square hammered copper sink is 15″wide x 8″deep. 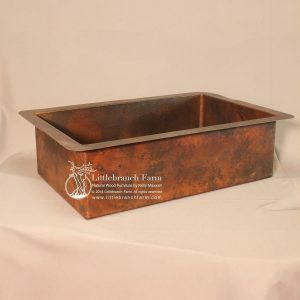 Square hammered copper sink is the perfect copper sink for a rustic bar or butlers pantry. 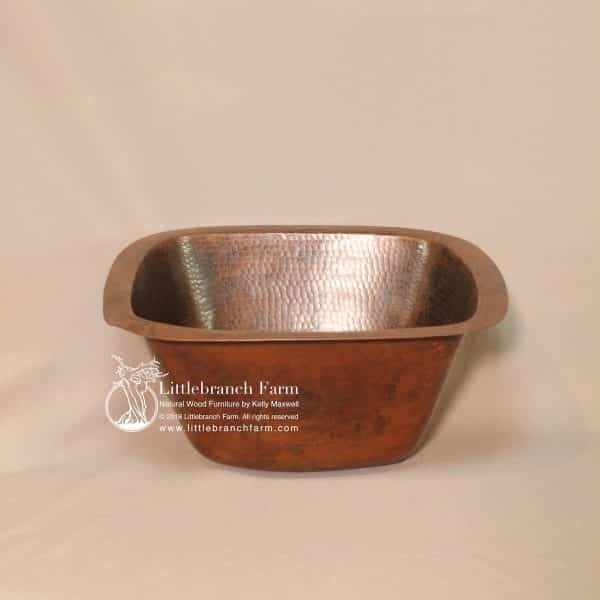 With its natural patina copper and easy care also makes it a no brainer. 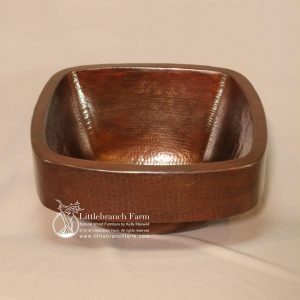 Really copper sinks are easy to clean with just soap and water. The flat top rim makes it versatile as a top mount sink or under mount sink. 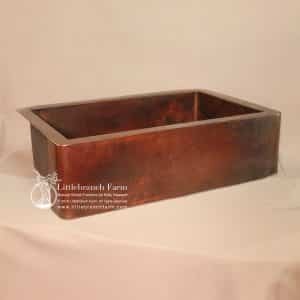 Also, the natural patina of these copper sinks pairs with natural wood countertops such as live edge redwood and Claro walnut. Perfect for the home wet bar. We use live edge wood, logs, and stumps to design and build our rustic furniture such as live edge rustic tables and rustic beds.